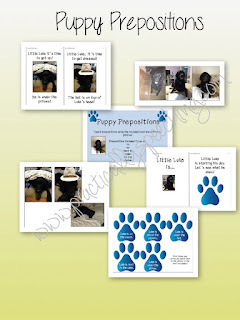 "Puppy Prepositions" teaches prepositions using the included book and printable photos! 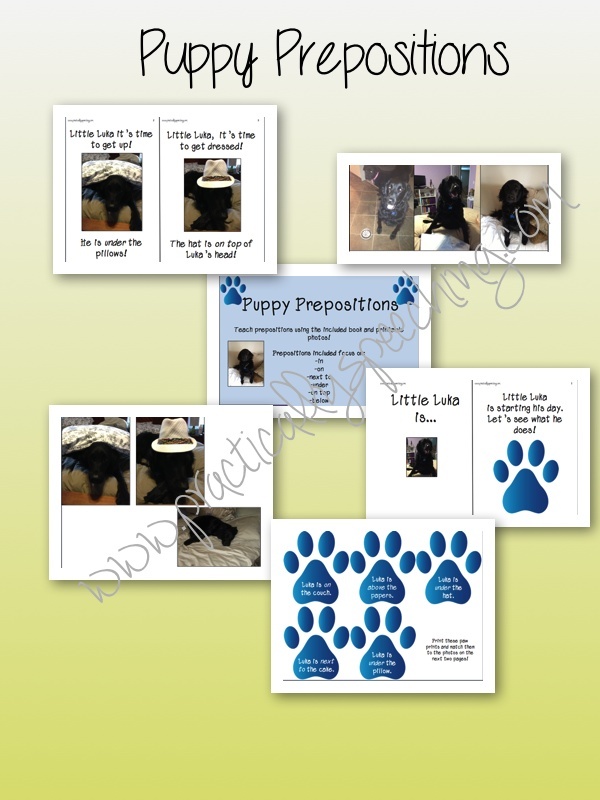 Your students are going to love the real-life pictures of Luka the Puppy! Read the book, go over the terms, and then use the printable photos to describe what's going on using the proper preposition! So sit back, relax, and hit print! Luka's about to steal the show!